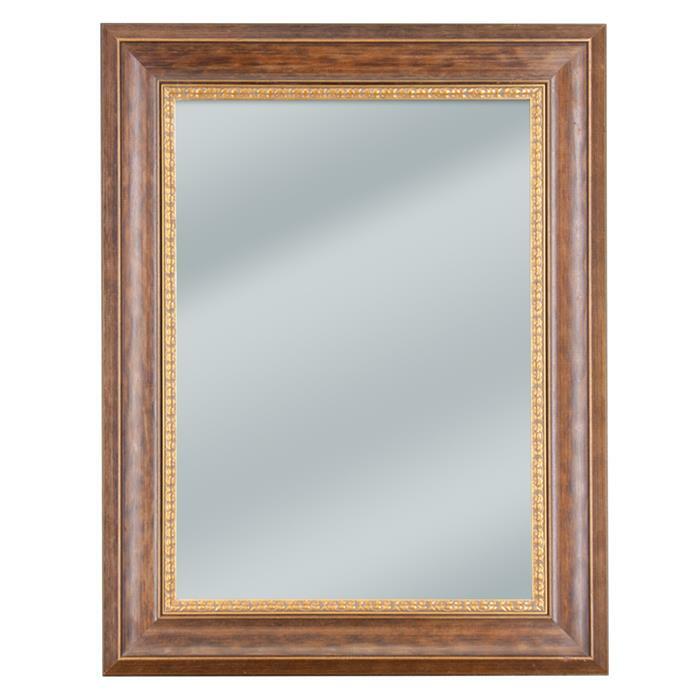 Home → Frame Style → Traditional → Dark toned wood framed mirror with baroque inner lip 21 3/4" x 28 3/4"
Dark toned wood framed mirror with baroque inner lip 21 3/4" x 28 3/4"
This 3 1/4" wide and 1 1/4" deep frame is beautifully crafted with a smooth dark wood finish. Frame has 1" of an outer edge before dipping down into a scallop with a baroque gold inner lip. This mirror is available with a high quality 1/8" thick flat mirror glass.